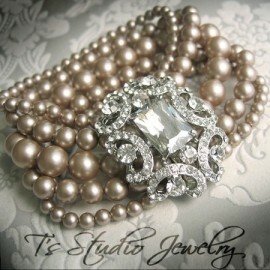 Something old, something new? 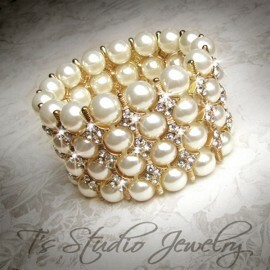 How about a new gorgeous charm bracelete made with pearls and crystals? 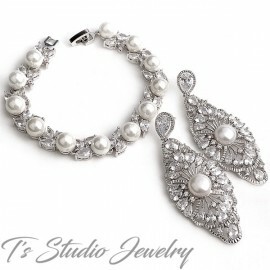 Pearl charms dangle from silver loop chain, with a silver lobster clasp. 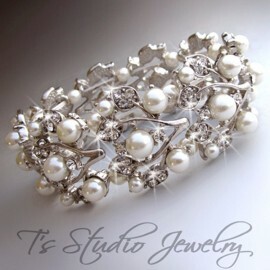 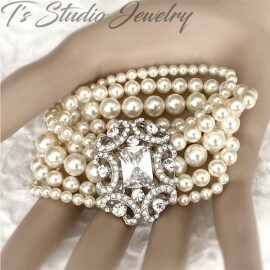 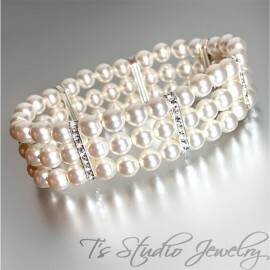 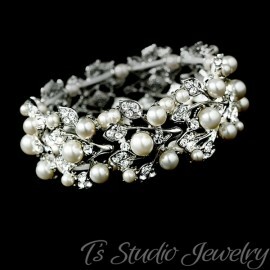 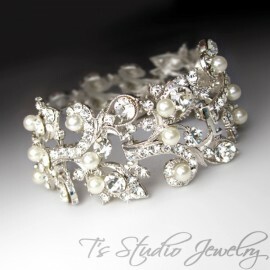 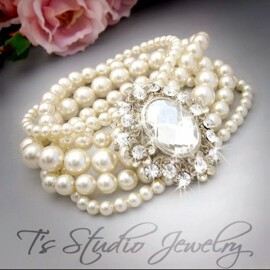 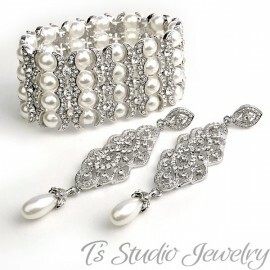 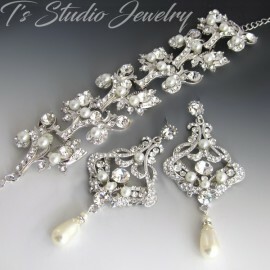 with ivory colored Swarovski pearls and clear Swarovski crystals. 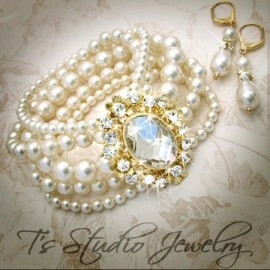 The fishook earwire is lined with tiny rhinestone crystals. 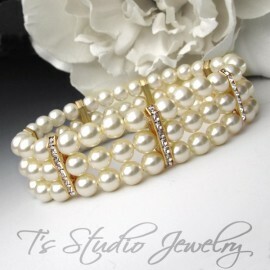 Available in gold tone or silver tone. 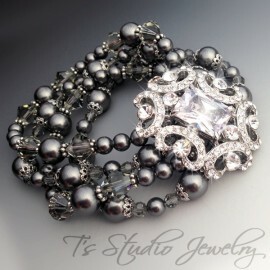 Can be made with any color combination of Swarovski Crystals and Pearls. 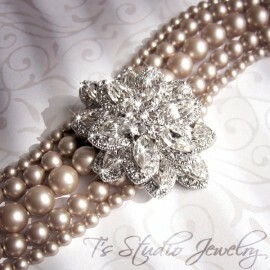 Please see attached color charts for available pearl and crystal colors. 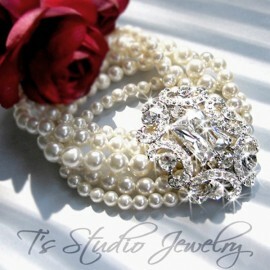 If you would like a color combination other than white or ivory pearls with clear crystals, please contact us.